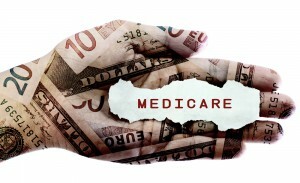 Are Concerns About Private Medicare Founded? Several of the country’s biggest health insurance companies are planning to merge, but this is raising concerns about a serious lack of competition in the Medicare marketplace. According to a new report, in fact, there is not enough competition anywhere in the country when it comes to Medicare. Research comes from the Commonwealth Fund, which found that up to 97 percent of markets in counties across the United States were “highly concentrated”, meaning that a handful of companies controlled the market. In rural locations, this concentration was even more pronounced, leaving little room for competition. Over the past few decades, insurance companies have encouraged private plans as alternatives to traditional Medicare options. Medicare provides coverage to about 66 percent of all beneficiaries. Some of the leading players in the private insurance market for Medicare are Humana, Aetna, and UnitedHealth Group. Those who support private insurance options believe that Medicare costs are reduced while the quality of care is boosted. If you are concerned about healthcare costs associated with aging, you likely have questions about both Medicare and Medicaid. Long-term care costs funded with assistance from Medicaid can be a critical way to help a loved one receive the care and support he or she needs, but there are specific qualifications in order to receive the benefits. To learn more about qualifying for Medicaid, contact our offices to learn more.